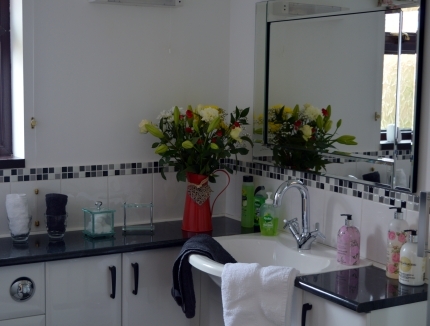 Enjoy a little bit of luxury in mid wales whilst you stay at Smithfield Farm. 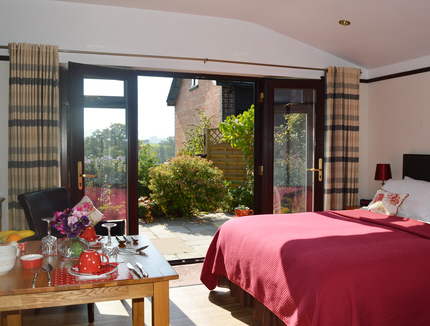 The 'GROUND' floor Garden and Meadow Rooms enjoy stunning views, private patio and own access doors. Breakfast is served to your room in the morning for you to have a relaxed start to the day. Builth Wells and the Royal Welsh Show is 1.5 miles and the stunning Elan Valley at Rhayader is an 8 miles drive. Ground floor B&B. 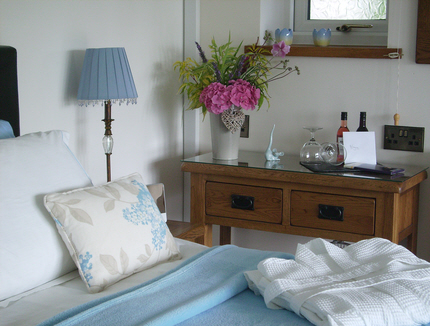 The Meadow suite is a Super-king double or twin room & the Garden Room is a King-size double. booking agencies. Please contact us directly for available dates & best rate. We cannot take credit cards. Deposit payments can be paid by cheque or bank transfer, we ONLY accept cash payment on the remaining balance. 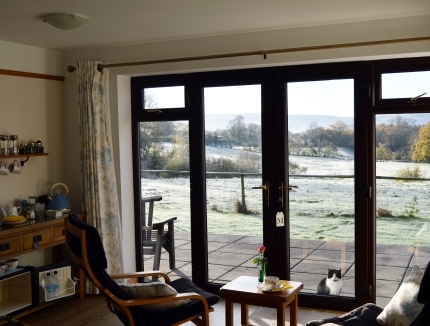 Read Smithfield Farm B&B Reviews 100% "Hidden Jewel in Builth Wells - This B&B is simply perfect!"